Opis: In 1930, tiny, icy world Pluto was discovered orbiting in the distant solar system. In 1978, its relatively large companion Charon was detected by ground-based observations. 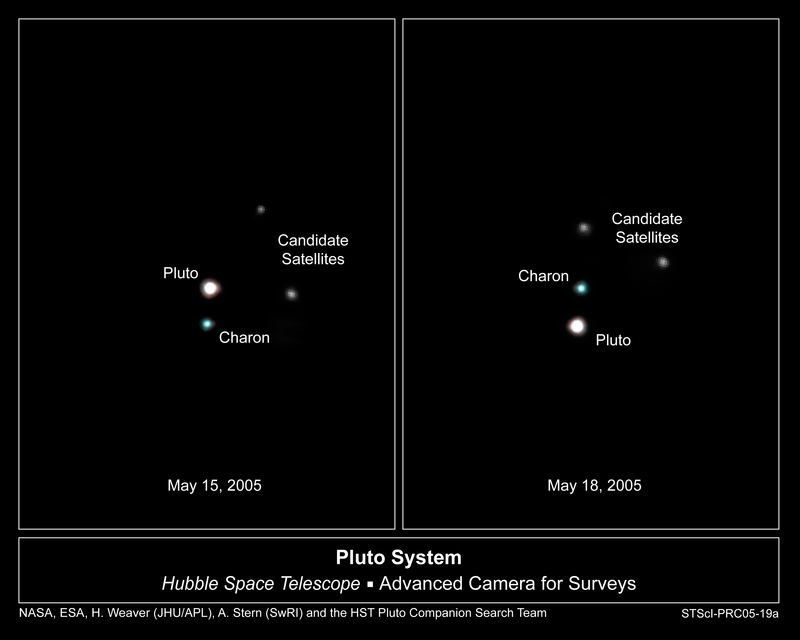 This year, the Hubble Space Telescope may well have detected two further members of the Pluto system. 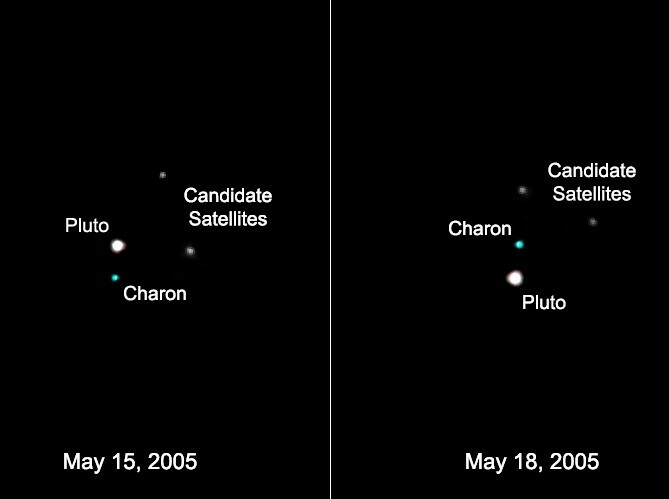 Provisionally designated S/2005 P1 and S/2005 P2, the two potential new moons are seen orbiting in a counterclockwise direction about 44,000 kilometers (27,000 miles) from Pluto in these deep Hubble images recorded only three days apart. The diminutive and faint companions are also apparently detected on Hubble images of Pluto from 2002, but this coming February follow-up observations are planned in an effort to confirm the discovery of the new moons. Compared to Pluto's and Charon's diameters of 2,300 and 1,300 kilometers respectively, these moons are estimated to be between 60 and 200 kilometers across. Well within the Kuiper Belt, an extensive region beyond the orbit of Neptune, the Pluto system could be the first quadruple Kuiper Belt object known.